Click and Print! 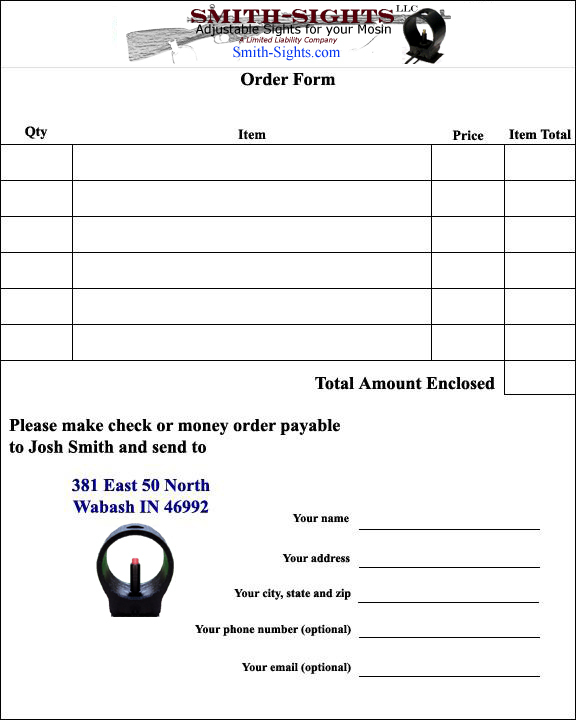 I provide this order form for your convenience. Please use it when paying with check or money order, or when sending in a sight to be serviced. When you send your item(s) to be modified it is crucial that you use a padded mailer at minimum. Regular envelopes tear too easily. I strongly recommend a padded envelope and tracking.